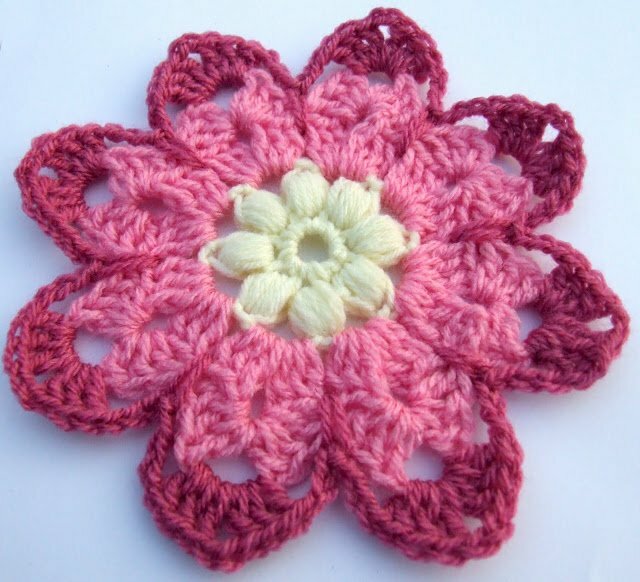 A free crochet pattern Octagon Flower for all my blog follwers. You may recognise this pattern from one of my earlier posts (Stuff I’d forgotten all about). I’ve finished writing up the pattern and it’s available free from my Ravelry Store just to say thank you to all my followers and the lovely comments you leave for me! If you don’t already follow my blog join up by using the form below or clicking the RSS button in the sidebar on the right and never miss a free pattern again! Hope you enjoy it, have fun with it and I look forward to seeing what you make. You don’t need to be a member of Ravelry to download the pattern (but I recommend joining!). Have a wonderful Easter in the glorious sunny weather! It is a lovely flower. I will go to Ravelry and try to find you. This is a bEAUTiFuL flower! Thank you for sharing your pattern with us. Wow gorgeous! Thanks for sharing! hi i just completed this flower to add onto a baby blanket. its my first successful go at the popcorn stitch in the middle. Thanks for such a easy pattern to follow. When I clicked on the link to download the free pattern, it brought up the same page I had just been on to click the link thereby leaving me stuck in a loop with no pattern! 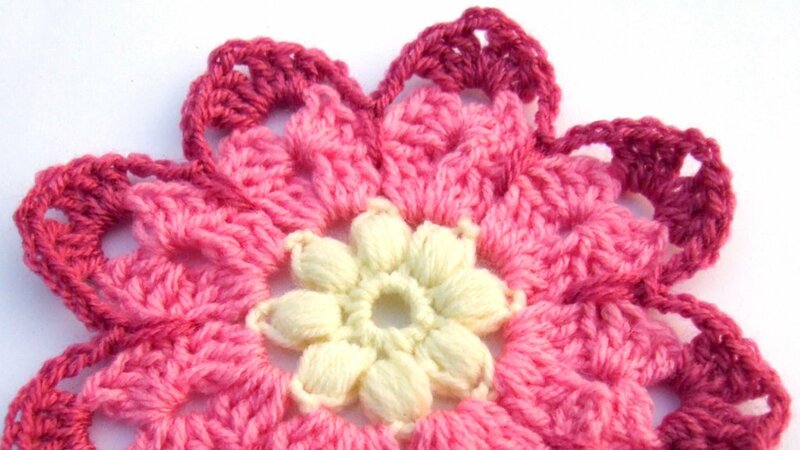 If anyone has the pattern I would be so grateful if you could please email it to me: [email protected] Love this flower!